Hi friends! 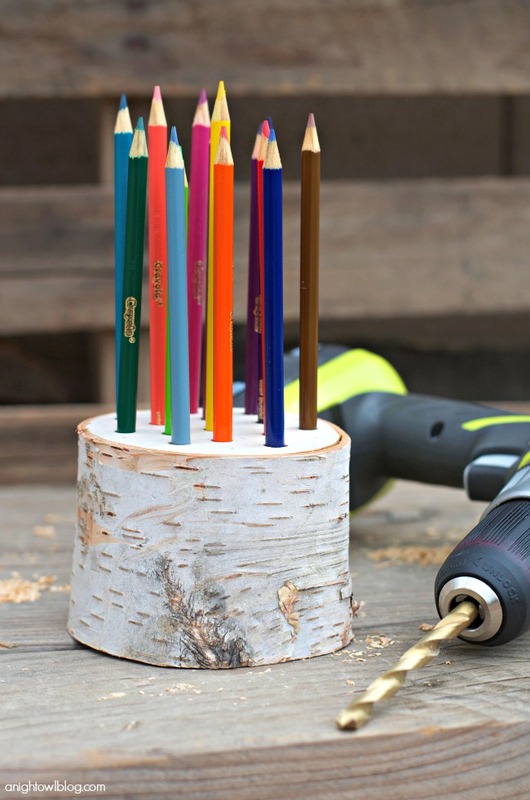 I’m excited to bring you yet another Michaels Makers project today – this DIY Pencil Holder Teacher Gift! 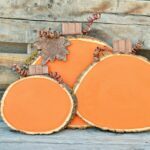 So far we’ve shared two other fun projects, our popular Painted Bushel Baskets and these beautiful DIY Cork Flower Vases! 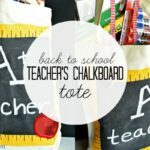 And this month it’s time to get BACK TO SCHOOL and with that comes school supplies, school organization and of course my favorite, teacher gifts! And Michaels has everything you need to get ready. 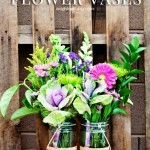 For this project we wanted to do something easy and creative to give to a teacher. 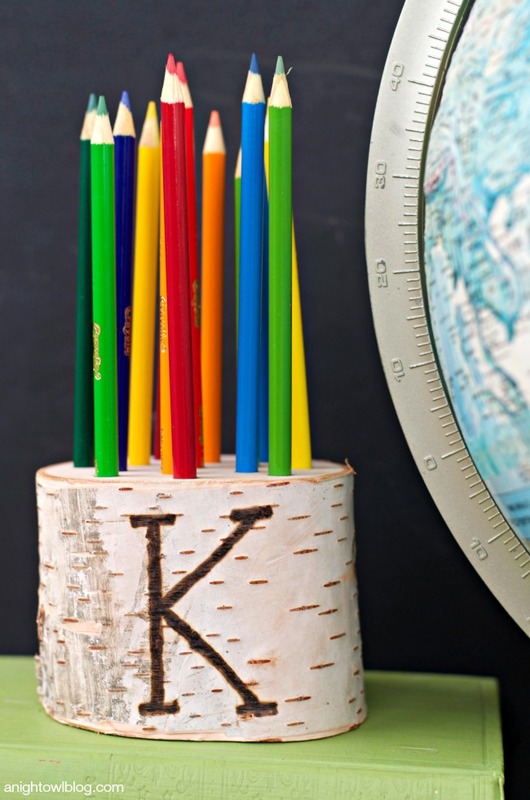 And what is cuter than a personalized pencil holder? Functional and fun! Mark areas on the birch pillar where you would like to drill a hole; it’s best to plan out spacing before drilling. 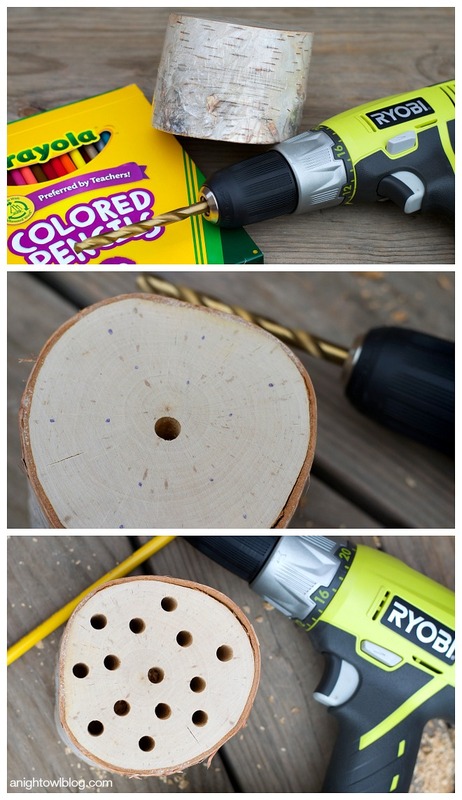 Take your drill with 5/16 drill bit and drill holes in the birch pillar 3/4 of the way down your pillar. Add colored pencils and voila! 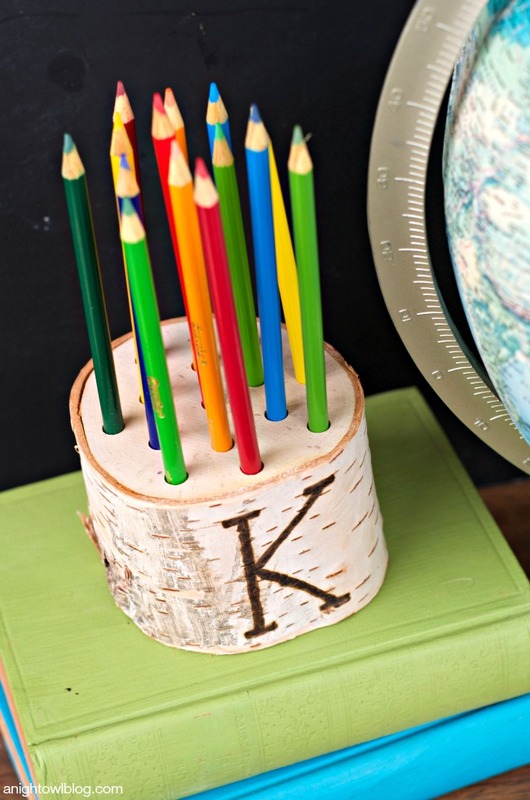 Then simply use a wood burner to add your teacher’s initial or other message on the front of your DIY pencil holder to personalize. Although it is even quite cute just as is! 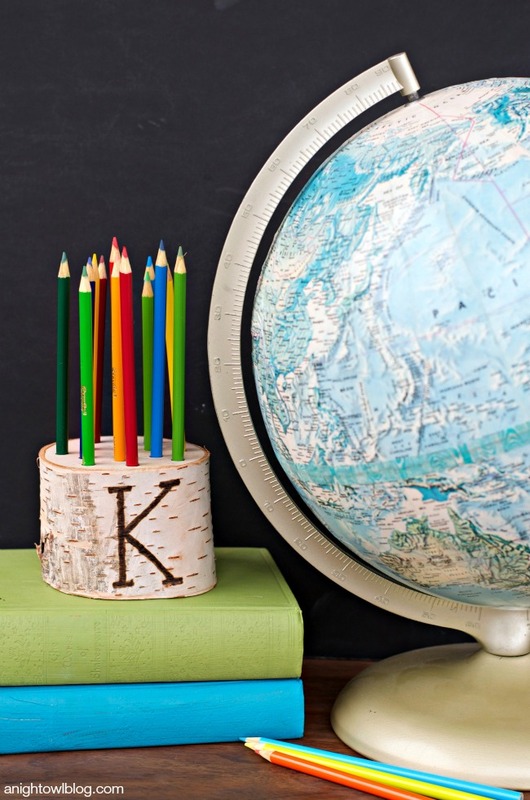 This DIY Pencil Holder is the cutest little Back to School teacher gift don’t you think? 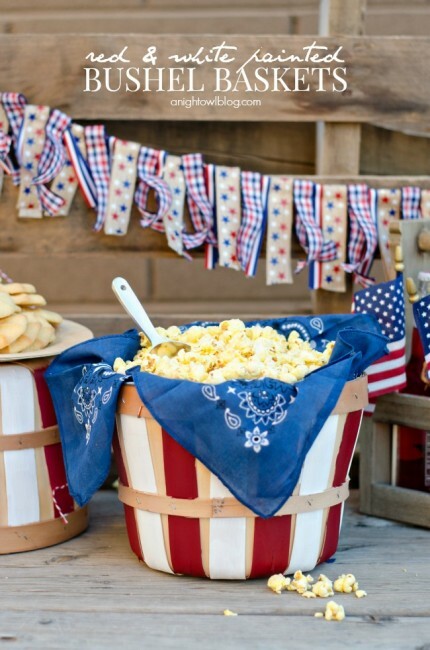 I just love how it turned out and if you have all the supplies, it’s amazingly easy! This will definitely be a project we do again. Michaels has everything you need for Back to School! For teachers – It’s time to start planning for the new school year and Michaels has all of the ideas and supplies you need to create a one-of-a-kind classroom, plus you get a 15 percent discount on all classroom purchases! 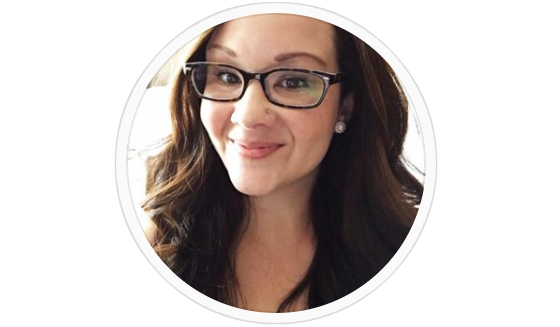 In addition to the products available for teachers, parents and students can find organizational tools to keep on track throughout the year as well as project ideas to personalize school supplies. Be sure to check out Michaels’ Back to School Pinterest Board to find fun and creative project ideas to kick the year off right! Adorable and personalized! Two of my favourite things! 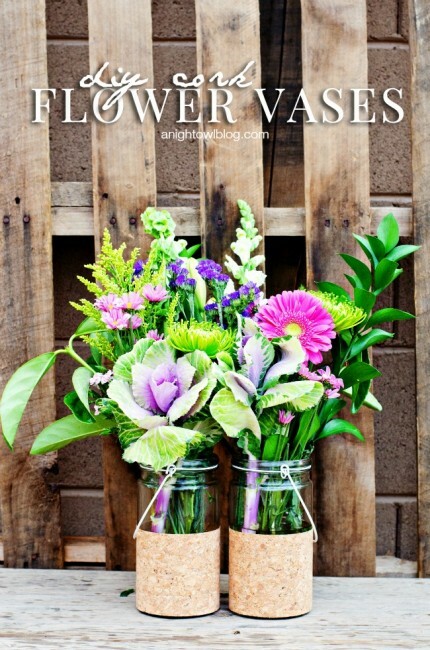 So simple and creative!! I love handmade gifts. They’re so much more personal!! Thank you! 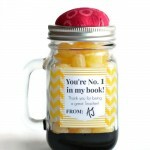 I love personalized gifts too!